Morra Gambit - Chess Gambits- Harking back to the 19th century! The Morra Gambit begins with 1.e4 c5 2.d4 cxd4 3.c3. White side-steps the theoretical main lines of the Open Sicilian (in which White plays Nf3, d4 and recaptures on d4 with the f3-knight) and intends, at the cost of a pawn, to generate attacking chances, while denying Black the sort of counterplay that he or she typically expects in the Open Sicilian. The French player Pierre Morra (1900-1969) analysed the opening extensively and thus got the opening named after himself. The gambit is also often known as the Smith-Morra, especially in the USA, after Ken Smith (1930-1999) who heavily promoted the gambit and frequently employed it himself. He did not have any success trying it against grandmasters (which prompted a notorious comment to one of his games from Bent Larsen, in which his opponent's first move, 1...e6, was given a "? ", on the basis, "Stronger is 1...c5 which wins a pawn") but this was more down to him being outgunned by stronger players than the merits of the opening. Unlike in the Danish Gambit (1.e4 e5 2.d4 exd4 3.c3) White rarely meets 3...dxc3 with 4.Bc4, sacrificing the pawn on b2, because Black can block out the c4-bishop's path to f7 by playing ...e7-e6, making it very tough for White to generate adequate compensation for two pawns. 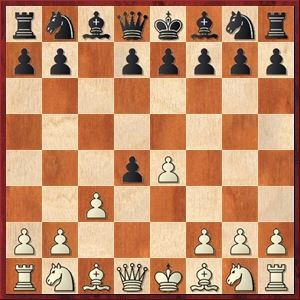 It is not a good way to avoid theory, because Black has a large array of good defences in the accepted lines of the gambit, and recent analysis has shown that White cannot just automatically wheel out the standard developing moves with Nf3, Bc4, 0-0, Qe2 and Rd1 no matter what Black plays. Instead, White has to be flexible in order to get good compensation for the pawn, and Marc Esserman in his book Mayhem in the Morra suggested that a good rule of thumb is to direct White's piece placement against the placement of the black queen. Another common motif is the knight sacrifice on d5, which tends to be strong if Black has expanded on the queenside and neglected kingside development. Black can also decline the gambit in various ways, of which 3...Nf6 and 3...d5 are the most important. 3...Nf6 will usually transpose into early d2-d4 lines of the 2.c3 Nf6 variation of the Sicilian. 3...d5 is, in my experience, sometimes played by analogy with the Danish and Göring Gambits, in which ...d7-d5 is generally a strong equalising move against gambits based on challenging a black pawn on d4 with c2-c3, but with Black having played ...c7-c5 rather than ...e7-e5 here, it is harder for Black to equalise, and hence 3...Nf6 is more popular. 3...d3 is also popular, although White can get a space advantage in the positions following 4.Bxd3. After 1.e4 c5 2.d4, Black has no particularly strong alternative to 2...cxd4, but after 3.c3, 3...Nf6 is quite strong, which is why I made a point of covering the line. 3...d5 is also better than its reputation, though it may not fully equalise. White can instead try 3.Nf3 with the idea of 4.c3, and keep open the option of 4.Nxd4 transposing into an Open Sicilian. However, this move-order is not entirely flexible, because if Black plays 3...a6, then 4.Nxd4 is dubious because after a subsequent ...e7-e5, the d4-knight cannot go to b5, and so White should play 4.c3. If Black plays 3...d6, then 4.c3 is dubious because of 4...Nf6, as the d6-pawn covers the e5-square and so 5.e5 can be met by 5...dxe5. Therefore 3.Nf3 d6 should be met by 4.Nxd4.